The three most important needs of a person is Food, cloth and shelter. A person cannot live without food for a long time but unfortunately there are many persons in the world who even don’t get food to eat. Keeping this situation in mind, J.P.P. 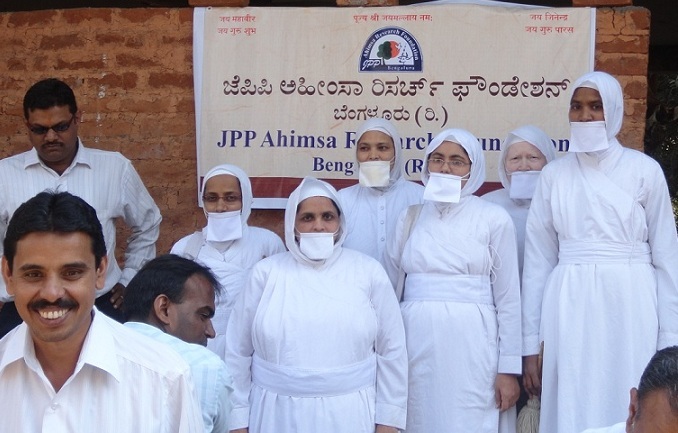 Jain annapoorna project was started in Bangalore in 2013. 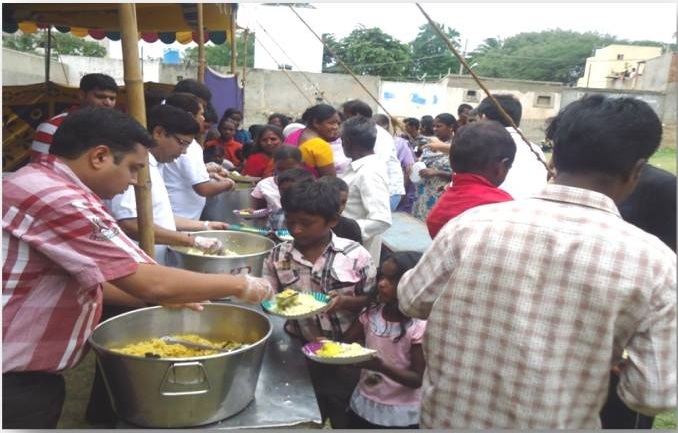 Group of volunteers takes prepared food and distributes to needy people in orphanages, Govt. Hospitals, Schools, Slum Areas etc. every fortnight. Any person who wishes to gain annapunya (the biggest & foremost punya) by contributing in this project can donate Rs:5500/- for one annadanam (every fortnight) or Rs:11,000/- for one month.